Learn to Curl beginning at 12:15, followed by a short annual meeting and elections at 3 p.m., then wrap up with networking on your own in the Crooked Pint Alehouse at 4 p.m.! Please Respond by 3:00 p.m. on Monday, November 7 to lisa.thibodeau@chisagocounty.us. Only a limited number of participants may be on the ice to learn to curl, so contact us early! Cost: Your cost to curl is $20.00. Please be pay the Chaska Curling Center on November 17. The MN-PSC will take care of the rest of the curling cost. Shoes: Bring a clean pair of athletic shoes and carry them in. Don’t put them on until you get inside, because it is important to keep the ice clean. Clothes: Dress comfortably. It is difficult to curl in jeans. It is best to wear casual, loose- fitting, fitness clothes for curling. The curling arena is cool, about 45 degrees Fahrenheit. Recommended clothing includes: hat, gloves, and a warm jacket or hoodie and vest. How to: Curling instructions are available on the Chaska Curling Center web site. Memberships are reduced from $100 to only $75 if you join the day of the Curling Event! Membership is not required to be a member to participate in curling and networking event. Elections: The Minnesota Product Stewardship Council has 1 position open beginning in January, 2017. Board members hold three year terms. 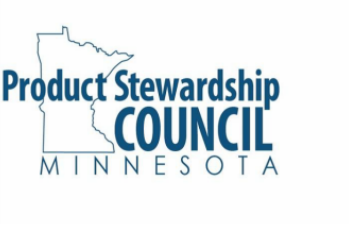 If you are interested in running for the Minnesota Product Stewardship Council Board of Directors, please submit your name by Monday, November 7, 2016, to beresponsiblemn@gmail.com. To be elected to the Board, a person must maintain a MN PSC membership throughout their term, and be employed in local government.